The IGTV mania has officially started, leaving a lot of people and business wondering how to use the new IGTV Instagram television. Instagram does not stop shocking us with its changes; and it has done so again with its new IGTV, the Instagram television. A space to watch the videos of our followers and non-followers. Like the book, Think Video Smart Video Marketing & #Influencing says, the audiovisual contents help us to “generate influence and connect with new consumers,”. This is the potential that Instagram creators have seen to move from the static images to the video. In the following post, we explain how IGTV works. It’s so easy that by the time you finish reading this it will be very functional for your business! Instagram already offers a multitude of features. First, they came out as a platform to post and retouch images. Then they jumped, becoming the competition to Snapchat with their stories. Short videos or images that disappear after 24 hours. And finally, IGTV is born, the television of Instagram, which seems like they want to compete with YouTube. Its purpose is to reach the younger audience. This new service that may seem similar to the stories intends to make things easier. So that you can watch videos much more comfortably and faster. Another goal is to increase the time each user spends on the platform. Also, this system allows you to watch the videos of people you do not follow. If you are a brand, the IGTV may interest you, because you can post corporate videos or presentations about your products and services, although it is not a 100% advertising format yet. So, IGTV is a place for vertical videos on Instagram. It’s available in both the native Instagram app and the new standalone IGTV app. 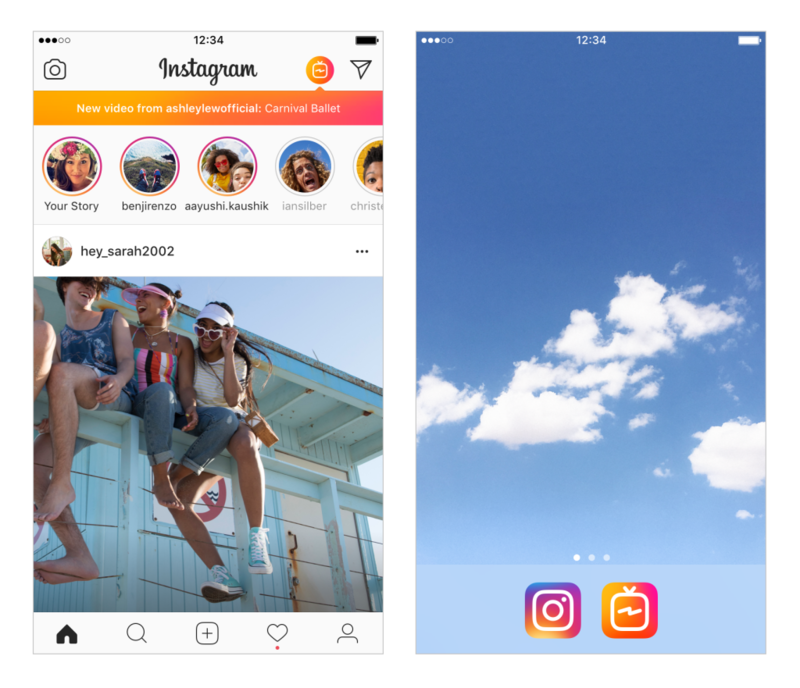 IGTV allows you to upload videos of up to one hour in length, apart from being able to download as a stand-alone app. Now we can also find it within the same Instagram application, in a button that is on the top right side, right next to the icon for sending direct. Therefore, when someone enters the profile of a user who has created an IGTV by clicking on the television icon that appears at the top. We can see all the contents that person has published. One factor to keep in mind is that the videos are seen in full screen, but only in a vertical way Thus being the design, to facilitate the visualization of clips in the mobile. It’s very easy to use; you have to download the app and enter with the same account that you have on Instagram. Once this step is done, you should click on the icon of your profile and then on the + sign. With this new format, all users can upload videos of up to 10 minutes in length. A significant advance, considering that they had a maximum duration of one minute. Besides, those users chose as “the most popular” will be able to upload videos of up to an hour. You need to open the application. So that the videos start playing automatically, just like when a television is turned on. IGTV has different categories to explore content: “For you,” “Followed,” “Popular” and “Keep watching.” It also allows you to “like,” comment and share the content with other users through direct messages. Can you make money with IGTV? It is evident that IGTV was born with the aim of becoming the new Youtube. But Can those content generators make money with this app as well as the famous Youtubers or Influencers? The founders of Instagram announced that for the first time there would be no announcements in IGTV. But it did recognize that maybe in the future this could happen. Also, they added that eventually there may be an agreement to make money with content creators, but that this is not the real purpose that is expected to be given to IGTV. At the moment we see that the doors are not closed to monetization. But it is true that you still have to look at how IGTV works for the users and if it will have the expected repercussion. Will it then be a threat to YouTube? What do you think about this new way of consuming content? Do you think it will succeed? Will it be a fad? How do you imagine it will work for your brand. We want to know your opinions!.